Description: It has a soothing, refreshing, fresh lemon scent. Its essential oils contain properties that act in a mildly disinfecting manner. This is a blend of 100% certified organic, fair-trade, pure & natural essential oils. This can be in bathrooms and in the air to freshen. Great in the kitchen or any room to reduce odours. Perfect for pet odours and pet areas. Properties: May clean and freshen the air, and help with the reduction of bacteria. 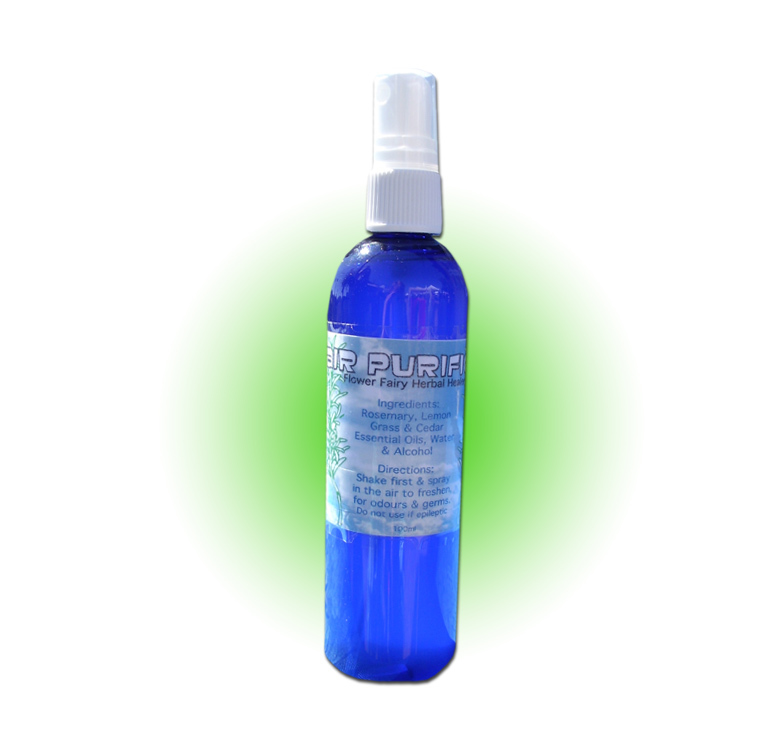 May be a useful spritz for sporting gear, yoga mats, or in your automobile. These essential oils contain properties which are considered helpful to clear aura/enegertics. Directions: Shake well before using. Spritz a bit away from item. Use on your yoga mats before and after use to freshen mats and as a mild disinfectant. This product can be used in the air to freshen, clean and help with bacteria. It may also help freshen plastic shower curtains, bath mats, flip-flops and shoes. Ingredients: 100% certified organic, fair-trade, pure and natural essential oil of: Rosemary, Lemon Grass & Cedar essential oils, water & alcohol in a base of distilled water and premium alcohol.